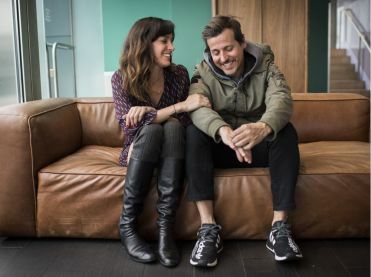 Canadian music royalty Chantal Kreviazuk and Raine Maida (Our Lady Peace) have been very upfront about the realities of married life. Their new documentary and collaborative album, “I’m Going To Break Your Heart,” is all about how hard it can be to sustain a healthy relationship, and how easy it is to inadvertently wound or neglect your partner, especially after 20 years of marriage. But the project is a hopeful one, and their marriage very clearly has a lot of love and lightness to it. The singer/songwriter couple sat down with HuffPost Canada to tell us the piece of advice they heard from a priest when they first got engaged, and the way they’ve carried that advice with them ever since.